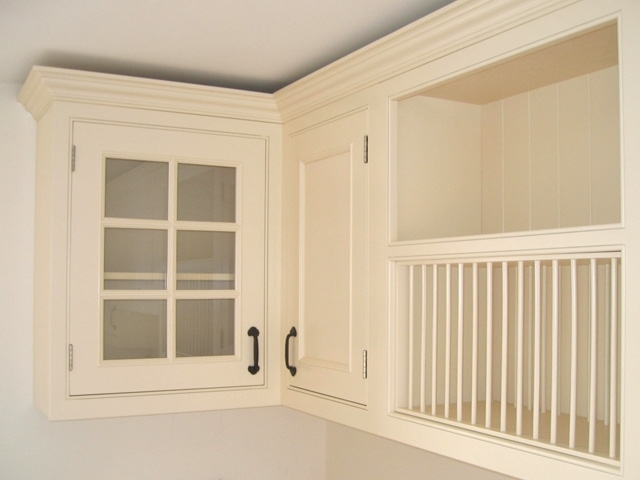 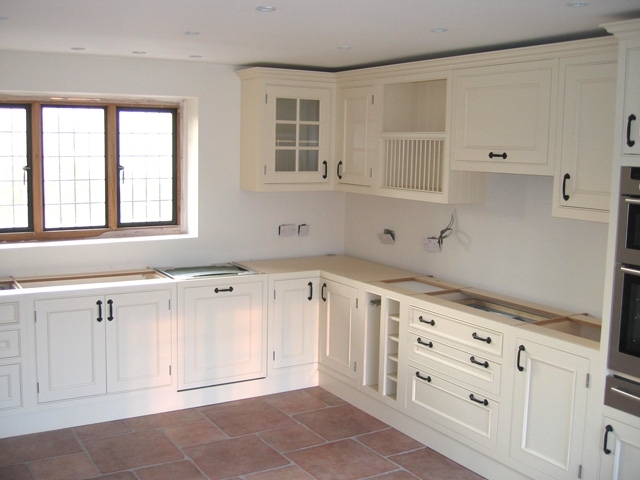 This country style handmade kitchen was designed and fitted by Bourne's Fine Furniture. 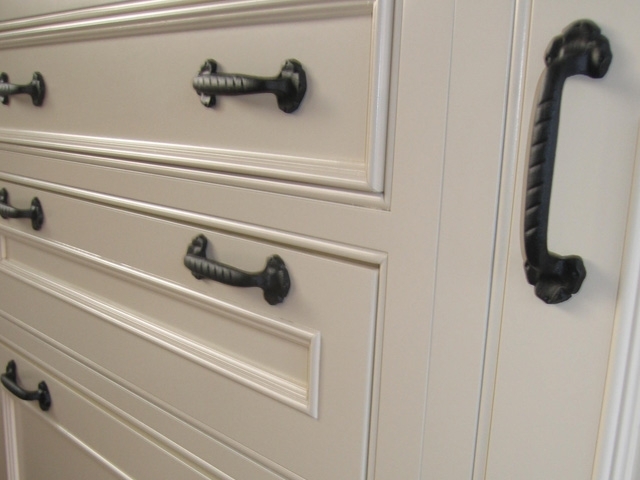 The customer chose all the appliances and handles, including black iron handles, chrome hinges and soft close runners. 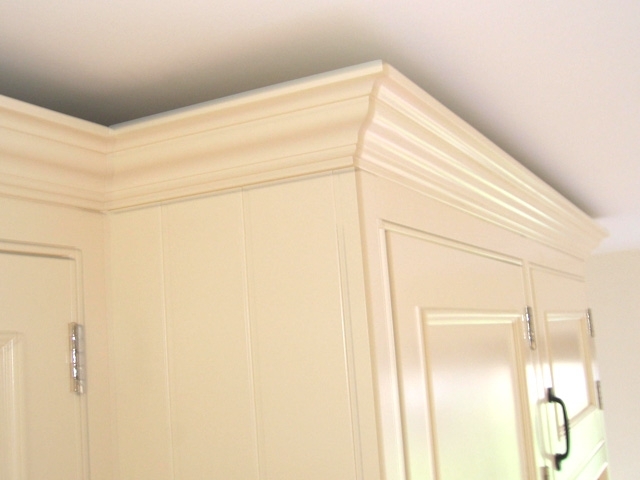 The units are custom-made from tough, durable MDF and have a spray-painted finish. 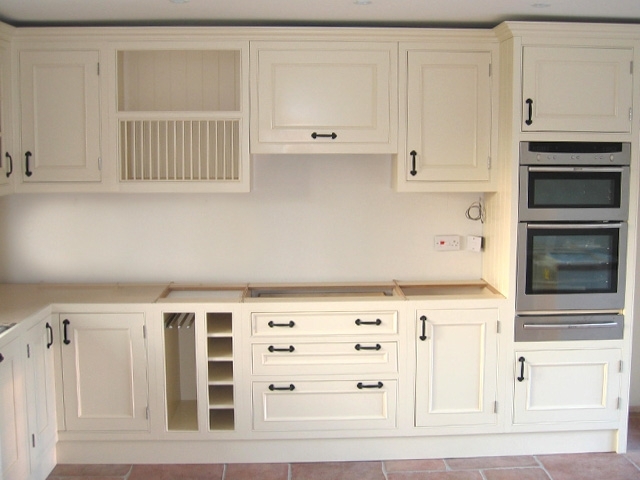 If you would like to design your own dream, custom-made kitchen, please contact us. 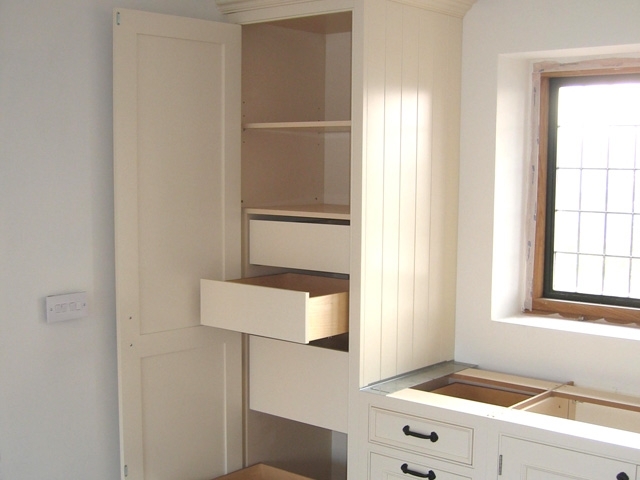 We mainly work with clients in London and the South East of England but can cover the UK.